European Hit Radio is a community-based radio in Lithuania. Communication is a very important thing in human life. As social beings, we interact and can not survive on our own. Begins with a dream and a vision of equality, European Hit Radio joints Community as a platform gather and exchange ideas. 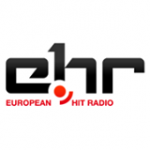 European Hit Radio helps people to communicate through music. European Hit Radio (EHR) is one of the very first commercial radio stations in Baltic States. This radio focuses on reflecting the current situation in European music charts. Every week the European Hit Radio servers automatically check each European country’s single charts, index songs in order of their position on the chart and, with a special secret script, automatically make a playlist. This script is programmed to manage the playlist so that one can turn on the radio at any time and, in a few hours, know the current situation in the European music market – what music is most popular in Europe right now. The script also can avoid repeats of the most popular song and make the playlist very interesting. That is why the station’s name is European Hit Radio.